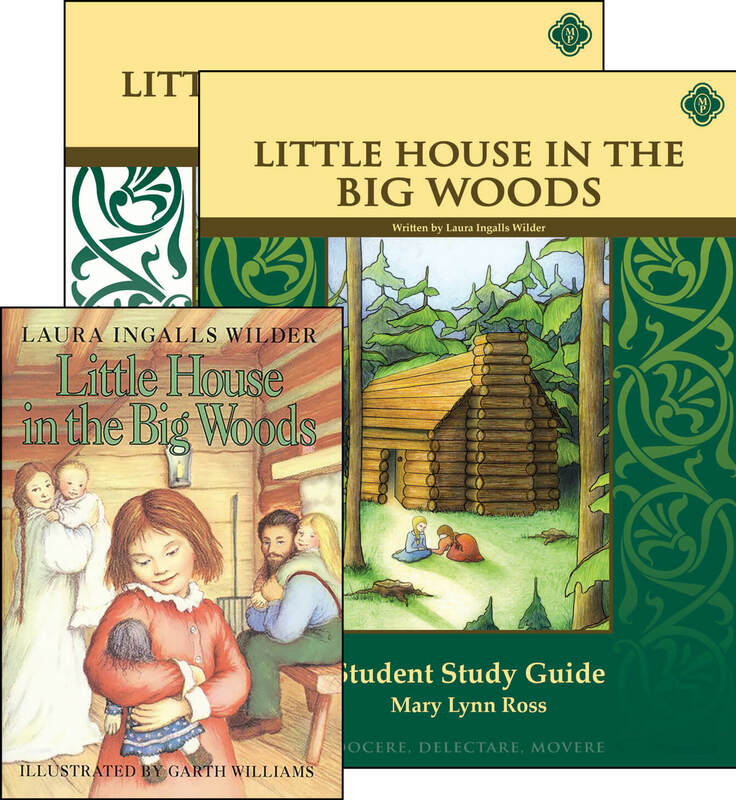 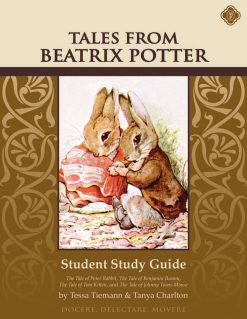 The Tales from Beatrix Potter Set includes four short literature books, the Beatrix Potter Teacher Guide, and the Beatrix Potter Student Guide, a consumable workbook for the student to go through as they read the books. 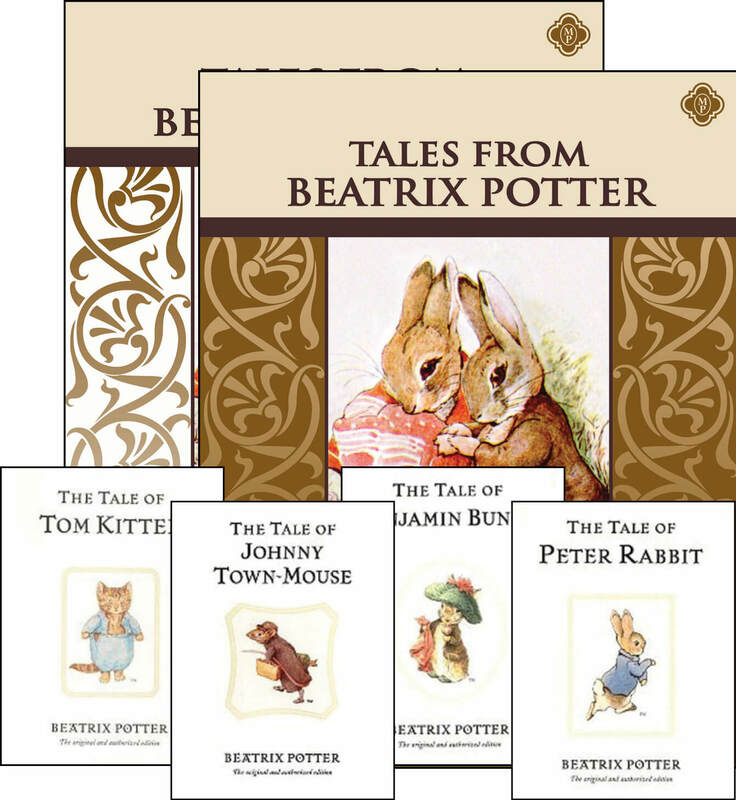 The Tales from Beatrix Potter Set includes 4 books by Beatrix Potter (The Tale of Peter Rabbit, The Tale of Benjamin Bunny, The Tale of Tom Kitten, The Tale of Johnny Town-Mouse), the Teacher Guide, and the Student Study Guide. 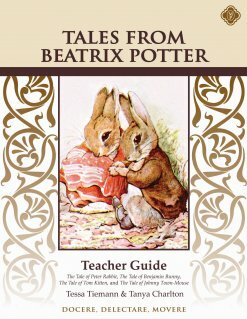 The Tale of Peter Rabbit was first published in 1902 and endures as Beatrix Potter’s most popular and well-loved tale. 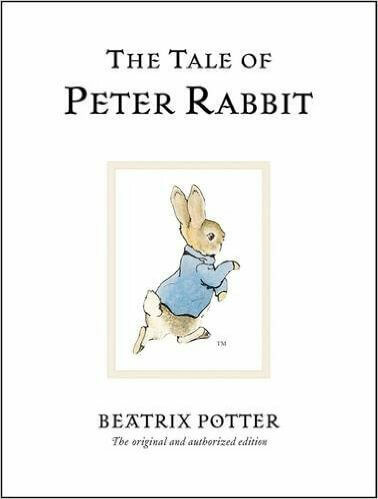 It tells the story of a very mischievous rabbit and the trouble he encounters in Mr McGregor’s vegetable garden. 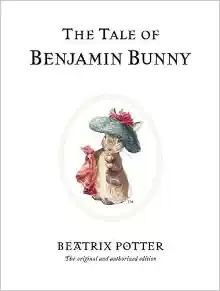 The Tale of Benjamin Bunny is an original classic by Beatrix Potter all about Benjamin and Peter’s adventures in Mr. McGregor’s vegetable garden. 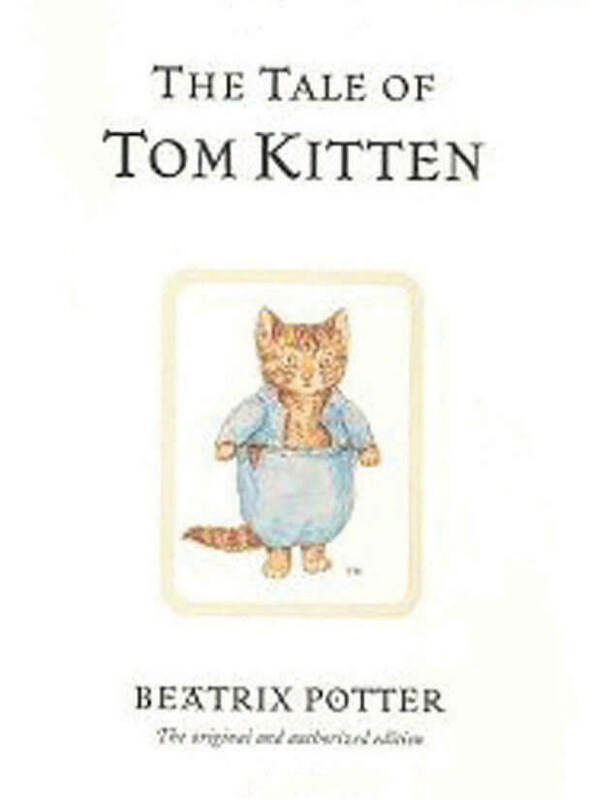 The Tale of Tom Kitten is set in the cottage garden Beatrix created herself at Hill Top, the farm she owned near the village of Sawrey. 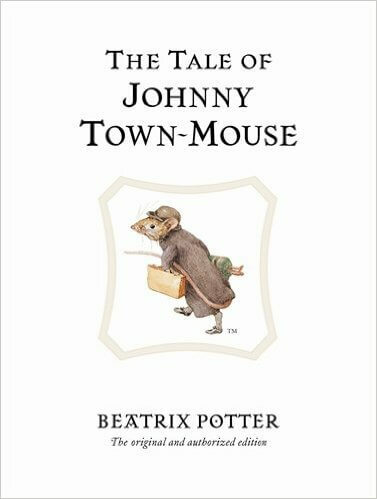 in The Tale of Johnny Town-Mouse, Johnny Town-Mouse and Timmy Willie, a country mouse, trade places and discover that they were much happier where they started!